Develop Training Ltd (DTL) has hired Matthew Gray in the newly-created role of Operations Manager as demand grows for training in the construction and utility sectors. Reporting to DTL’s Operations director, John Kerr, Matt will oversee delivery of compliance training and apprenticeships across DTL’s seven UK training centres as well as bespoke courses at customers’ premises. A key objective will be to introduce new methods of training delivery. Building on DTL’s award-winning online Learning Assessment Portal, he expects to bring in more blended training, mixing classroom, practical and distance learning. Also on his agenda are developing a virtual learning environment and reviewing DTL’s existing e-portfolio system that allows trainees to catalogue their experience electronically, including with video, instead of in bulky paper portfolios. He is particularly keen to build DTL’s growing apprenticeship offer, having managed major apprenticeship programmes in previous roles. As well as overseeing the company’s delivery managers and lecturers, this will include preparing DTL for assessment by the government’s education inspector Ofsted. As part of his focus on quality teaching and learning, he is developing a strategy to implement graded lesson observations for all DTL courses. Matt, who is based at DTL’s Derby training centre, will also be responsible for managing DTL’s property portfolio, comprising seven training centres in England, Scotland and Northern Ireland. A former apprentice himself, Matt began his career as an electrician, having followed his father into the industry, and ran his own business for five years until switching to teaching in 2008. A Level Five-qualified lecturer, his career in the training industry has developed from teaching electrical installation through a spell as a team leader and into senior management. 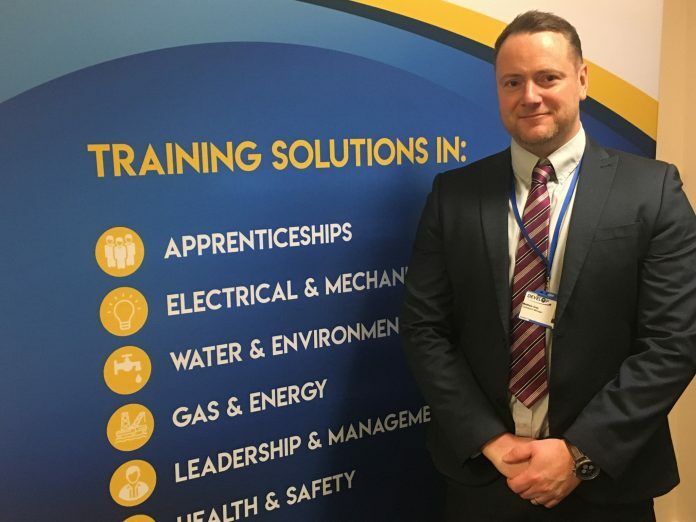 In one previous role, he was responsible for delivering a training curriculum across two training centres offering electrical, plumbing, heating and ventilation and other training to more than 300 learners. He went on to become a curriculum manager for another training company where he managed a team of vocational and functional skills trainers delivering apprenticeships in construction, housing and property management. Originally from Ashby-de-la-Zouch, Matt still lives in Leicestershire. He is married with two children, and enjoys going to the gym, playing snooker and occasionally turning out for Ashby Rugby Football Club.